After several months of negotiations, Apple CEO Tim Cook on Wednesday said the company had settled with the U.S. Federal Trade Commission over in-app purchases in the App Store. The settlement brings an end to an issue that saw many instances of young children making purchases without their parents' consent, despite the "protections" Apple has set up. Cook called the outcome a "surprise," and reassured employees its App Store is still "a safe place." Cook said that Apple sets up a number of safeguards to ensure customers of all ages don't mistakenly rack up huge bills as a result of in-app purchases. "The parental controls in iOS are strong, intuitive and customizable, and we've continued to add ways for parents to protect their children," Cook said in a company email. 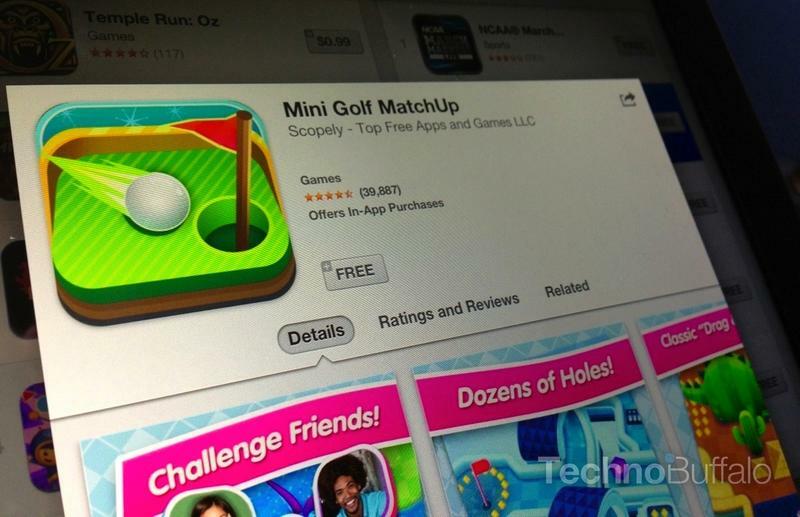 Earlier this year, Apple added warnings to every free app that offers in-app purchases in an effort to avoid instances where kids were unknowingly racking up huge bills; the year before, Apple was brought to court over numerous "bait apps." When in-app purchases were first introduced to the App Store back in 2009, Apple gave parents the option to disable the function. But Apple also included a 15-minute window where customers could make purchases without a password, giving children the opportunity to go crazy. Cook said the company responded to complaints by making improvements, and Apple even made in-app purchases more difficult. Even further, Apple agreed to refund in-app purchases that were made without a parent's permission, sending emails to 28 million App Store customers—Cook said his company even mailed postcards when email didn't work. Today, Apple agreed to pay $32.5 million in new refunds to settle with the FTC. "It doesn't feel right for the FTC to sue over a case that had already been settled," Cook said of today's ruling. "To us, it smacked of double jeopardy. However, the consent decree the FTC proposed does not require us to do anything we weren't already going to do, so we decided to accept it rather than take on a long and distracting legal fight." Cook goes onto to call the iOS App Store one of Apple's "important innovations," and a place consumers continue to go because "they can trust Apple." You can read Cook's full comments below, where the Apple CEO goes on to comment on the company's high "moral, legal and ethical standards." I want to let you know that Apple has entered into a consent decree with the U.S. Federal Trade Commission. We have been negotiating with the FTC for several months over disclosures about the in-app purchase feature of the App Store, because younger customers have sometimes been able to make purchases without their parents' consent. I know this announcement will come as a surprise to many of you since Apple has led the industry by making the App Store a safe place for customers of all ages. From the very beginning, protecting children has been a top priority for the App Store team and everyone at Apple. The store is thoughtfully curated, and we hold app developers to Apple's own high standards of security, privacy, usefulness and decency, among others. The parental controls in iOS are strong, intuitive and customizable, and we've continued to add ways for parents to protect their children. These controls go far beyond the features of other mobile device and OS makers, most of whom don't even review the apps they sell to children. When we introduced in-app purchases in 2009, we proactively offered parents a way to disable the function with a single switch. When in-app purchases were enabled and a password was entered to download an app, the App Store allowed purchases for 15 minutes without requiring a password. The 15-minute window had been there since the launch of the App Store in 2008 and was aimed at making the App Store easy to use, but some younger customers discovered that it also allowed them to make in-app purchases without a parent's approval. Last year, we set out to refund any in-app purchase which may have been made without a parent's permission. We wanted to reach every customer who might have been affected, so we sent emails to 28 million App Store customers – anyone who had made an in-app purchase in a game designed for kids. When some emails bounced, we mailed the parents postcards. In all, we received 37,000 claims and we will be reimbursing each one as promised. It doesn't feel right for the FTC to sue over a case that had already been settled. To us, it smacked of double jeopardy. However, the consent decree the FTC proposed does not require us to do anything we weren't already going to do, so we decided to accept it rather than take on a long and distracting legal fight. The App Store is one of Apple's most important innovations, and it's wildly popular with our customers around the world because they know they can trust Apple. You and your coworkers have helped Apple earn that trust, which we value and respect above all else. Apple is a company full of disruptive ideas and innovative people, who are also committed to upholding the highest moral, legal and ethical standards in everything we do. As I've said before, we believe technology can serve humankind's deepest values and highest aspirations. As Apple continues to grow, there will inevitably be scrutiny and criticism along our journey. We don't shy away from these kinds of questions, because we are confident in the integrity of our company and our coworkers.